I’m sitting my favourite chair reading Magic Fish Dreaming and dreaming about my childhood. Hi June. Thank you and Helene for the gifts. 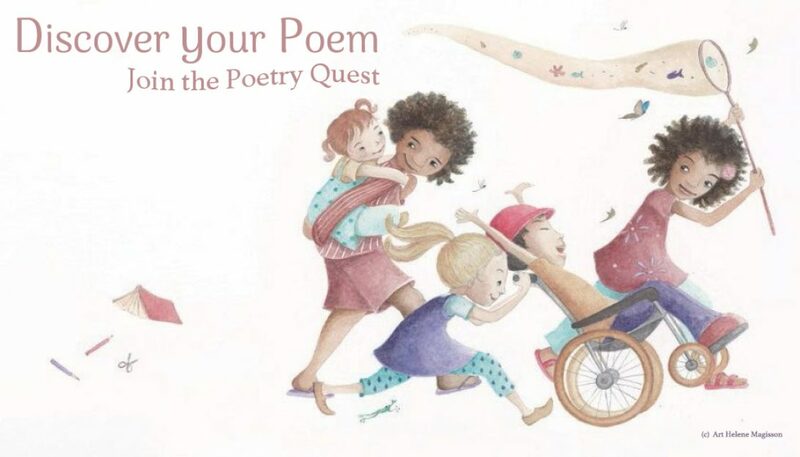 My son, who loves reading is already reading “Hunting for a Poem”. The little Tasmanian Tiger toy is his favorite. Thanks again and wishing you all the very best for 2017. I was so excited to recieve this beautiful book yesterday. I supported the Kick Starter campaign and now I have the book. Read it last night!!!! Congratulations on the book, it is divine. I received my copy today…totally enchanting! 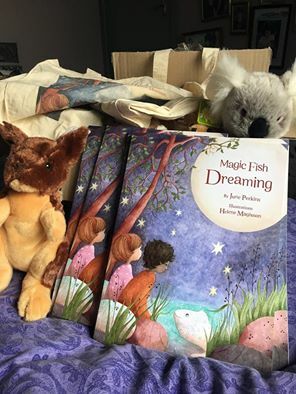 So exciting we were involved with supporting the publication of this book and today the dream came true and our signed copy arrived head over to Magic Fish Dreaming to purchase your own copy. < 100 kickstarter parcels sent out!